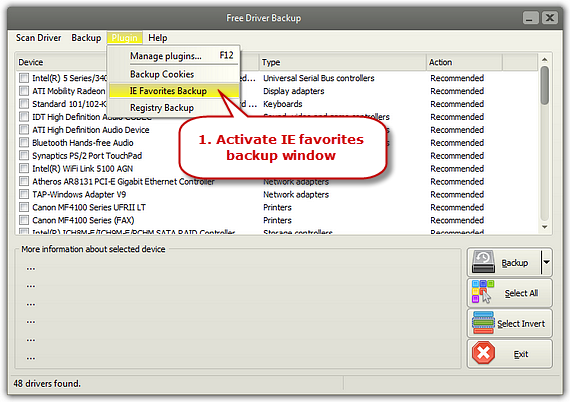 Launch Free Driver Backup and click “Plugin” to choose “IE Favorites Backup” to activate the IE favorites backup window. The IE favorites in Favorites will be automatically listed and you can click “Scan IE Favorites” to refresh the list. Click “Select a directory” to choose a folder for the IE favorites. 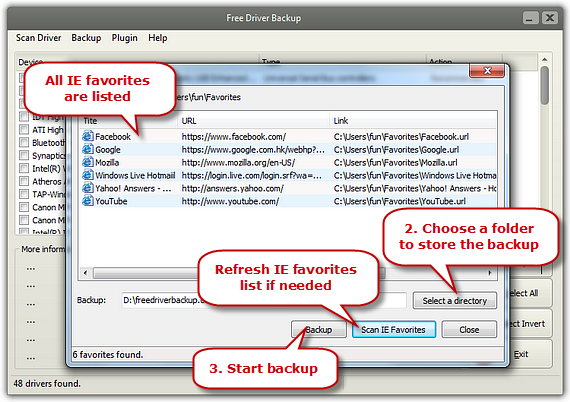 Click “Backup” to store the IE favorites.